*Defending French Open champion and world No. 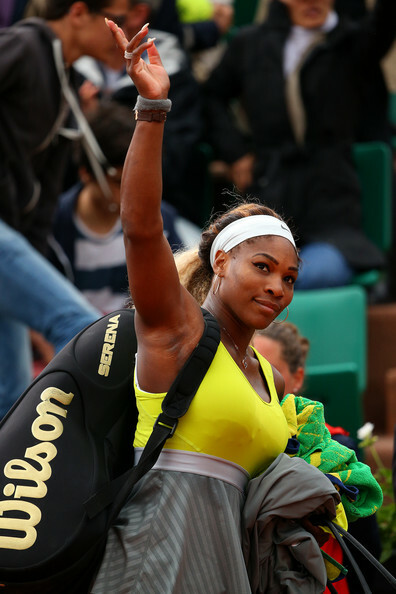 1 Serena Williams was stunned by Spain’s Garbine Muguruza 6-2, 6-2 in the second round of the French Open today. Muguruza, ranked No. 35, took only 64 minutes to secure her first ever victory against a top-eight opponent. 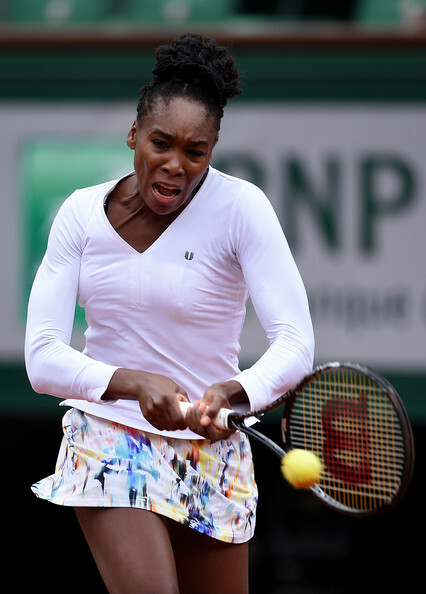 Williams looked flat and never found her rhythm, finishing with 29 unforced errors and only eight winners while failing to win a point at net (0-for-5). The 17-time Grand Slam champion lost five consecutive games after holding to open the match. The 32-year-old American, known for her dominance on serve, was broken five times and won only 17-of-31 (55 percent) first-serve points. Muguruza, a 20-year-old Spaniard appearing in her second French Open, played lights-out tennis. She dictated most of the points and stayed aggressive. Muguruza hit 12 winners against 18 unforced errors. In their only other meeting, Williams crushed Muguruza 6-2, 6-0 at the 2013 Australian Open. But since then Muguruza has climbed from No. 112 into the top 40. In January, she won the Hobart International as a qualifier for her first title, then reached the fourth round in Melbourne, the final of the Brasil Tennis Cup and the semifinals of the Grand Prix SAR. Still, Muguruza entered the match as a heavy underdog, having gone 0-5 in her career against top-five players and 3-8 against the top 10. In her two most recent tournaments, she had lost to No. 19 Sam Stosur in the second round of the Madrid Open and to No. 61 Francesca Schiavone in the second round of the Italian Open. Williams won the latter event, dropping only one set in five matches. Earlier Wednesday, Venus Williams lost to No. 56 Anna Schmiedlova 2-6, 6-3, 6-4. The Williams sisters would have met in the third round if both had won.